The Dakota skipper is a beautiful but vanishing butterfly of Minnesota’s prairie. Dakota Skipper caterpillars only eat grasses. Adult butterflies feed on nectar from a variety of prairie flowers, especially purple coneflowers. Once a prominent species found across Minnesota’s tallgrass prairie, Dakota skippers have now disappeared from more than 75% of their total former range. In Minnesota, there is only a single small site where they can be found. Adult butterflies begin flying mid-summer, mate and lay eggs. 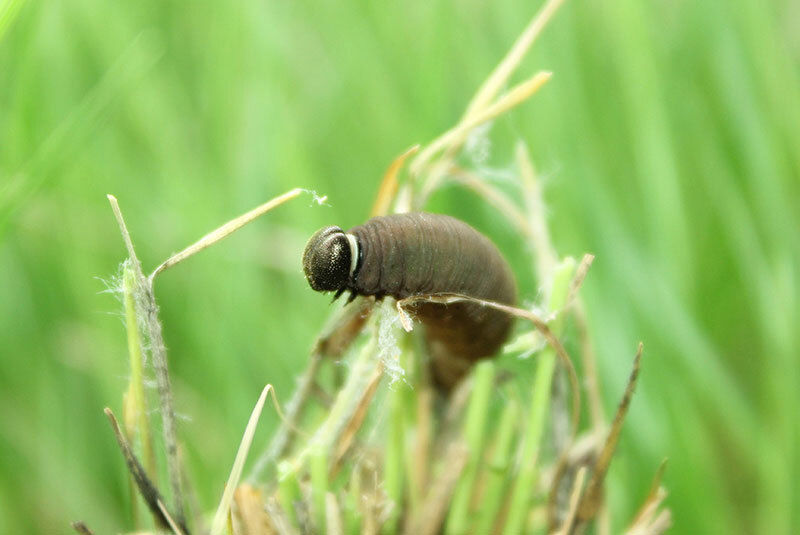 Caterpillars grow until late September, and then hunker down at the base of the grass near the soil for the winter. The caterpillars wake in the late spring and begin feeding and growing again. As a nectar feeder, Dakota skippers are one of many important prairie pollinators and a valuable indicator of prairie ecosystem health. The Dakota skipper is listed as Threatened under the U.S. Endangered Species Act. The Minnesota Zoo’s Prairie Butterfly Conservation Program is studying the reason for their decline and establishing the world’s only insurance breeding program for Dakota skippers in case they vanish from more of their range. Lifespan: 1 year. 2 weeks as an adult. 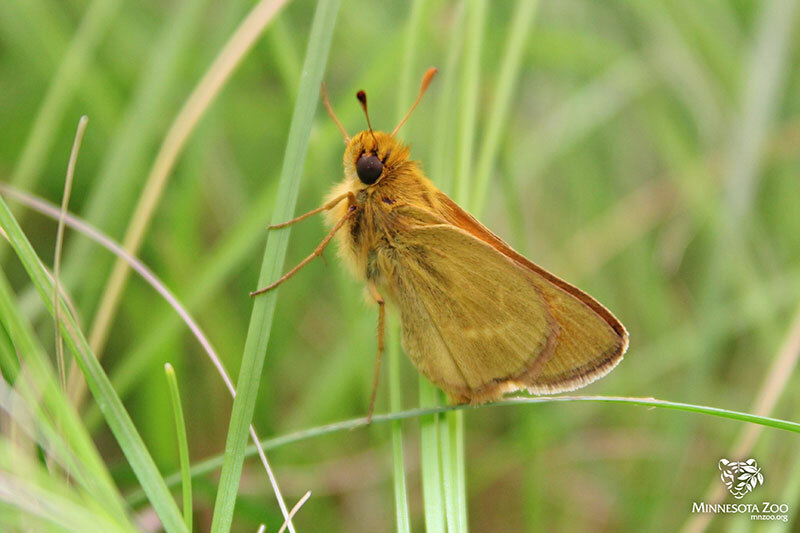 The Dakota skipper is listed as Endangered in Minnesota and Threatened Nationally. Its historical range extended from southern Saskatchewan and Manitoba, through the Dakotas, Minnesota, Iowa, through northern Illinois. 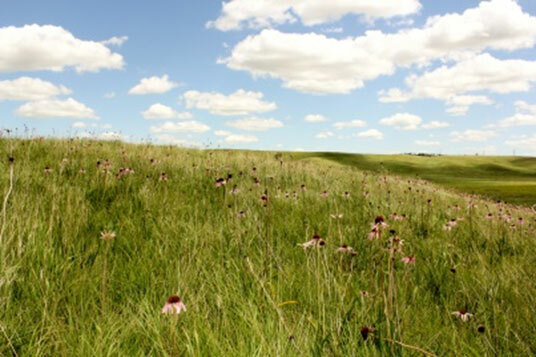 It is a northern tallgrass prairie specialist and can live in no other habitat. The primary threat to Dakota skippers is loss of habitat. Today, only about 1% of historic tallgrass prairie remains and what is left is fragmented into small separated islands. However, even at protected prairie sites, Dakota skipper numbers have been falling. The reason for its decline in protected sites is still not clear. In addition to loss of habitat, threats may include agricultural pesticides, loss of genetic diversity within sites, diseases and climate change. 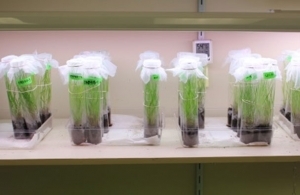 In partnership with multiple agencies, the Minnesota Zoo began a conservation insurance breeding program for Dakota skippers behind the scenes at the Zoo in 2013. The program began by visiting sites in South Dakota where females were caught and released after 48 hours. The eggs they laid were brought back to the Zoo and raised. In 2014, the Minnesota Zoo became the first institution to successfully breed Dakota skippers in human care. The program has since expanded to include individuals from Minnesota! The Zoo is also studying why this once abundant species is vanishing from protected sites. 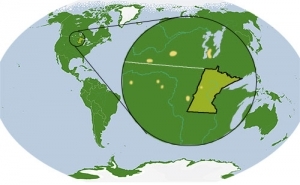 Working closely with many partners, including the Minnesota DNR and U.S. 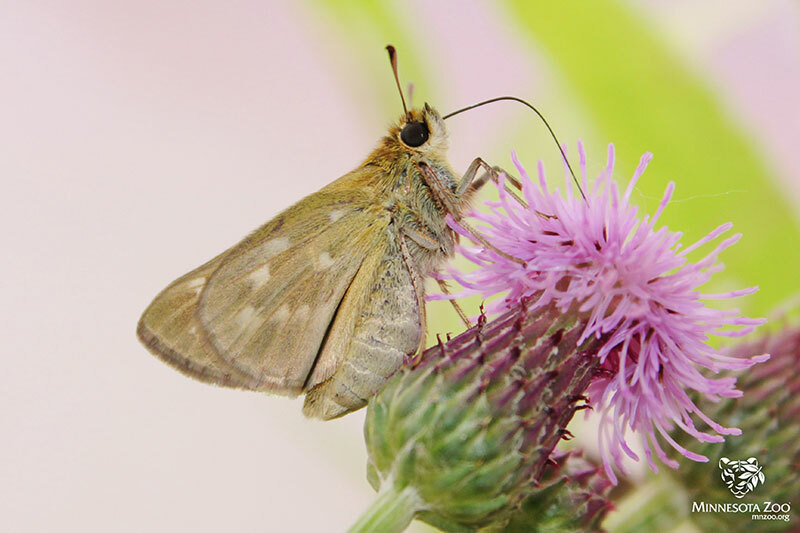 Fish and Wildlife, Zoo biologists conduct field surveys for Dakota skippers and other rare butterflies. Additionally, they are studying the presence and impact of pesticides at current and historic Dakota skipper sites, and genetic variation within and across populations. The Minnesota Zoo’s efforts to save Dakota skippers is supported by the Environment and Natural Resources Trust Fund, the U.S. Fish and Wildlife Service, the Disney Conservation Fund through the Association of Zoos and Aquariums Conservation Grants Fund, the Legacy Amendment Arts and Cultural Heritage Fund, Aveda, and donations from Zoo guests.